The right approach to content marketing can shine up your business prospects while a wrong approach can make your effort, time and money go down the drain. So, it makes sense to pay attention to what content marketing experts say and follow their advice carefully, especially if you are a startup. An indication of what’s going on in the field of content marketing currently can be had from its trends being followed the world over. Your creative website design surely adds to your efforts of keeping your visitors tuned to your business. These content marketing trends can help you in a big way. 1. Interactive Content – 86% marketers plan to repurpose their content within the next 12 months. This will vastly increase the number of blogs, infographics, and reports competing for attention.’’. 2. Calculator-Like Tools – The focus is on adding calculators, apps and other such tools in blogs to ensure better user participation. 3. Repurposing Old Content – Another content marketing trends that fast picking up is to repurpose old and static content. Companies are turning some portion of that content into interactive one with the help of infographics, quizzes etc. 4. Visually Appealing Content – This year, more and more companies are looking to create videos, infographics and photos, which are visually appealing and engaging in equal measures and create a rich experience for users. Creative infographic designs can surely take your content to the people to summon their attention and attention. 5. Analyzing Tools – Another one of the best content marketing trends of this year is the use of tracking and analyzing tools. These tools are increasingly being used to keep an eye on the progress and result of content marketing efforts for making timely improvements in the strategy. 6. More Funds – Companies are willing to set aside more funds for content marketing to repackage old content and distribute them on various platforms to drive traffic. The finances are also needed for new research and to develop new content. 7. Responsive Web Design – Due to increased use of mobile phones for surfing and shopping, responsive web design continues to be in the center of marketing campaigns by businesses. It is important to turn to responsive in 2019 in order to yield maximum results from your content marketing drive. 8. Exploring YouTube Even More – Companies are capitalizing on the success of YouTube in engaging the audiences. Businesses find this video platform highly useful in sending messages across a section of people with easy and effectively. 9. Use of Social Media – Social media continues to fascinate businesses for its power of engaging the targeted customers and markets in a big way. 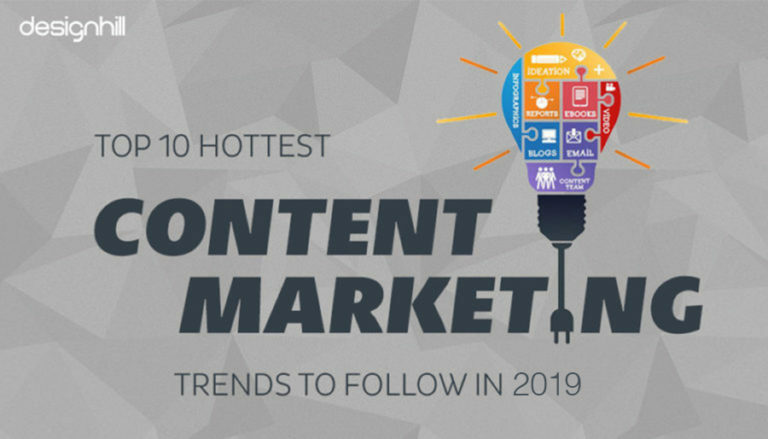 In fact, they are looking for new social platforms to drive traffic to interactive content is yet another great content marketing trends. 10. Preset Distribution of Content – Businesses create a huge amount of content in varied forms. So, they look for some automation to submit content on wide-ranging old and new social media. Tools like Hootsuite are therefore are new favorites of the companies in distributing content automatically on a preset schedule.